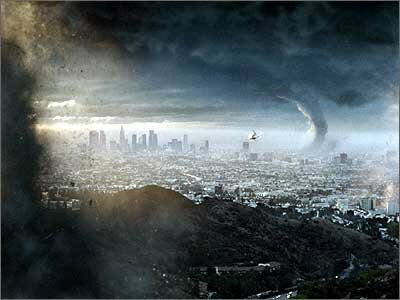 For many years writers and moviemakers have enjoyed bestowing terror on the masses with their predictions of Armageddon and apocalypse, but what are the chances of life imitating art? I decided to look into the common themes and rate the chances of such events actually happening (Note: there is no scientific formulation to any of my ratings). So, which scenario is the most likely? Brains…brains…brains…okay, you get the idea. Zombies are rife on our TV screens. George A Romero kicked off the trend, and now the Walking Dead is a not to be missed TV show. The dead rise from their graves and start eating the living. With in excess of 7 billion people to go at they won’t go hungry, but could this actually happen? Perhaps the topic that divides opinion the most: climate change, or in this case, extreme climate change. In this flick the weather does for mankind as the collapse of a huge ice sheet ushers in a new ice age. And there’s not a sloth, woolly mammoth or saber-toothed tiger named Diego in sight. Look at that bright object in sky…ooh, a new star. Let us rejoice, and name it after the kid who discovered it. Hang on…no, it’s a massive asteroid and it’s going to hit the Earth. Not so chuffed now are you, junior astronomer? Not even Morgan Freeman can save us (Bruce Willis faired better in Armageddon), and only a select few will survive in underground bunkers to keep the human race alive. The worrying thing is, this could actually happen. Best keep Bruce on standby, eh? After recent outbreaks of Swine and Bird Flu, the threat in Outbreak seems all too present. I’m still recovering from a bout of Man Flu, but luckily this only has implications for around half the population! Still, I wouldn’t mind one of those yellow suits. Aah-tchooo…on second thought, might get a bit messy on the inside of that visor! The Cold War has ended and the threat of Mutually Assured Destruction seems to have kept mankind from blowing itself into oblivion. The madness of such a scenario was portrayed brilliantly in Stanley Kubrick’s Dr Strangelove or: How I Learned to Stop Worryong and Love the Bomb. However, with so many warheads kicking about who-knows-where, this doomsday scenario still makes it onto the list. This one will never go away. Over the years alien invasion has been a staple diet of the sci-fi writer. 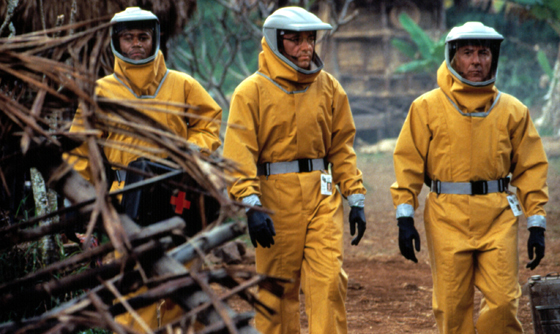 But fear not – according to Hollywood, aliens can be thwarted by one of two methods: Will Smith or… bacteria. So keep watching re-runs of the Fresh Prince of Bel Air and throw away your Domestos – after all, we may need those germs. Anyway, that’s just my take on it. Let me know if you agree with my ratings, or if you have your own scenarios to add to the list. I”m going with the Apes, too. 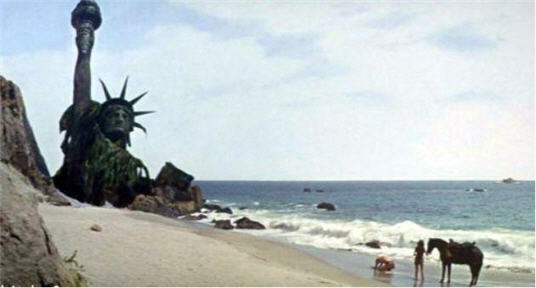 Yeah, Planet of the Apes here we come… only this time there’ll be no Charlton Heston to save us!!! When I go to the zoo, those guys KNOW. They KNOW they shouldn’t be in cages. They know they should be ruling the world. BTW…I don’t know how I feel about zoos. I’ve actually never been to a zoo…how weird is that? I’m hoping they’ll take that into consideration once the day of reckoning comes! Planet of the Apes still the best film in the list (in my opinion). If you get a chance to watch it, I recommend it – but make sure you see the 60’s version rather than the remake. As I spend most of my time Outdoors, I see from every year how many species decline! I know, I wonder how bad it needs to get before we wise up and do something about it! Am forwarding this to the hubby who will certainly enjoy just as much (if not more than) I did. Thanks for the comment! My zombie apocalypse probability score wasn’t based on any scientific criteria, so… you never know! 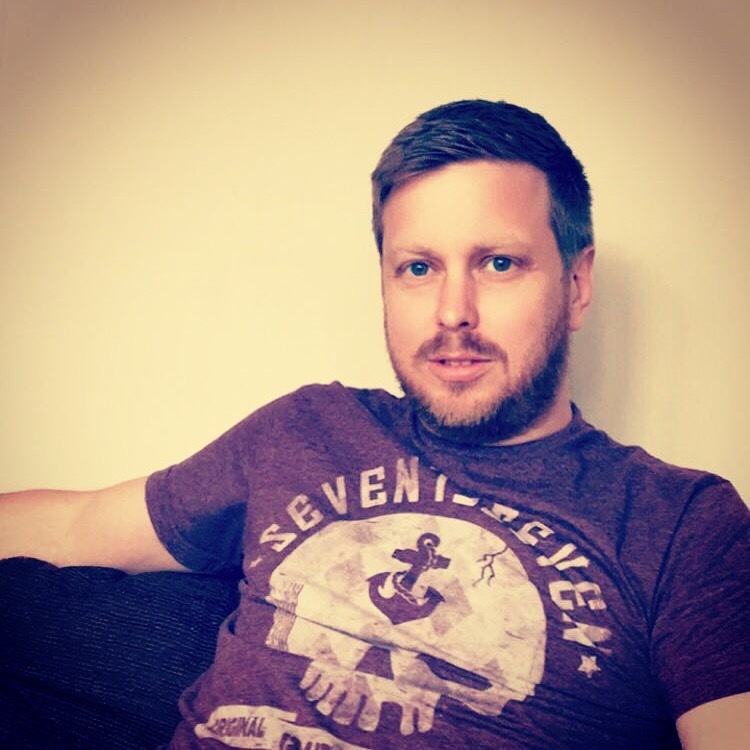 I’m also a fan of the Walking Dead – a bit sad now series two has finished! Thanks Anne! Yes, spread the word, we’re all doomed…lol! I reckon I could survive a few of these things. Don’t know who would make my breakfast and drive me to work if my monkey butler ever rebelled in a Planet of the Apes type scenario, though? Thanks, Thurstan…and the same sentiments to your blog!